Thank you to everyone who entered and acted as my guinea pigs for trying out an embedded form for my giveaways instead of public comments. I like this better, so I think that's how I'm going to do my giveaways form here on out. Also big thanks to Judith, the owner of A Box For My Treasure for doing such a generous giveaway. If you didn't win, no worries. A Box For My Treasure is incredibly reasonably priced with shipping from Ireland to the U.S. that's under three bucks! 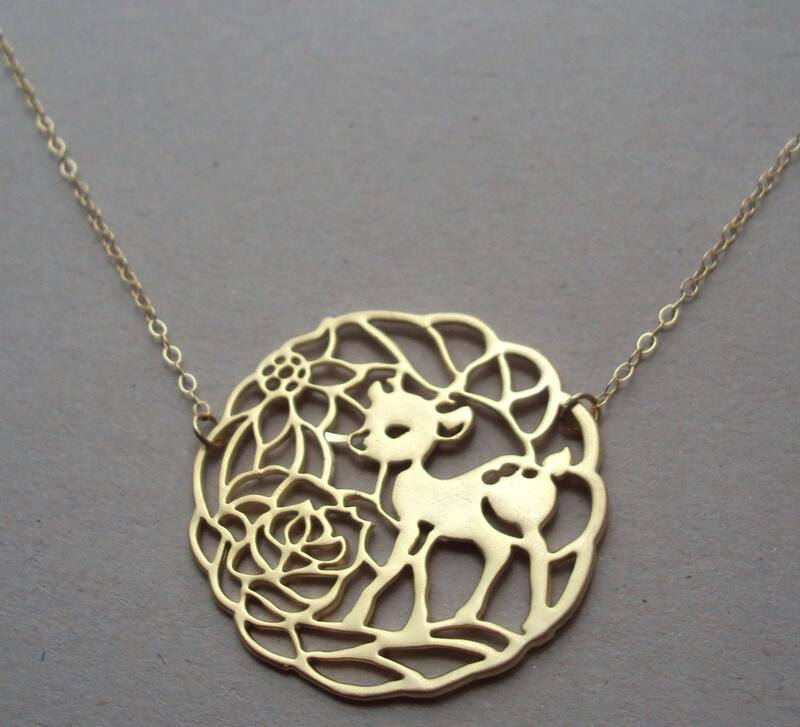 Look at this precious deer necklace she just posted! I seriously can't handle the cuteness! note: A Box For My Treasure is an Adored Austin in-kind partner.